Inspired by a chance Google search today, these DIY apple cups are the perfect addition to your fall tablescape–even better when paired with Greendance Apple Jack Cider! Our Apple Jack is made from fresh pressed autumn apple cider, our dry red Merlot wine, and mulling spices! On a cutting board, use a small paring knife to cut off the top of the apple (set aside for later to use as a lid or have yourself a quick snack). Then take the knife and carefully outline where you’d like the rim of your apple cup to be. Your rim should be at least 1/4″ wide to give the apple cup enough strength. 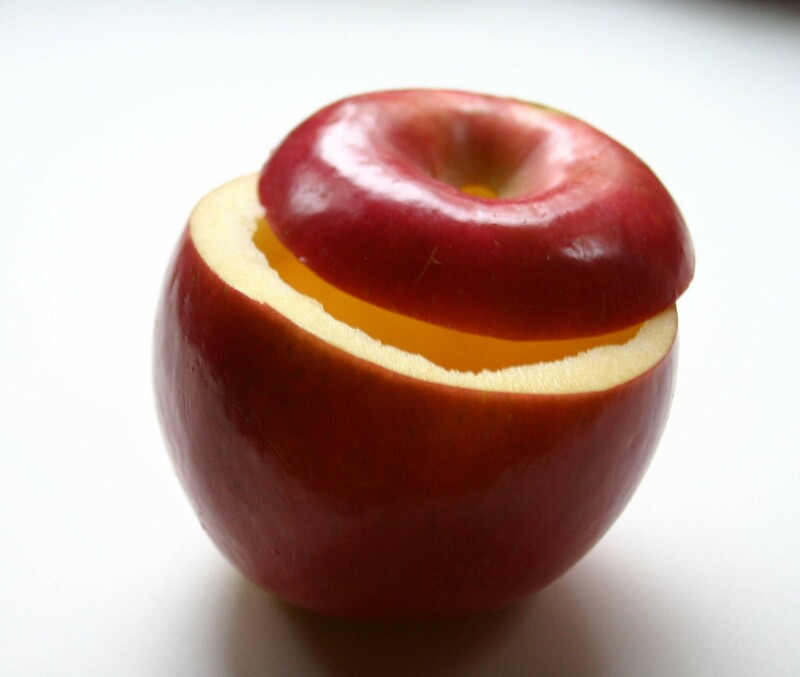 Use a spoon or small fruit scoop to carefully begin removing the center of your apple until you have a nice hollow cup. After scooping, take a narrow pastry brush and cover the inside flesh of the apple with lemon juice to help keep its color until serving. 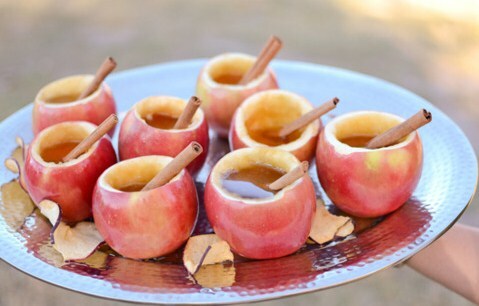 Fill with warm Apple Jack Cider, garnish with a cinnamon stick and star anise and enjoy! Make sure your apples sit level, if not cut some thin slices off the bottom. Be careful when hollowing out the center to not make the walls too thin or punch through the bottom and sides.